Back to Hampton Court for some more spectacular interior designs! 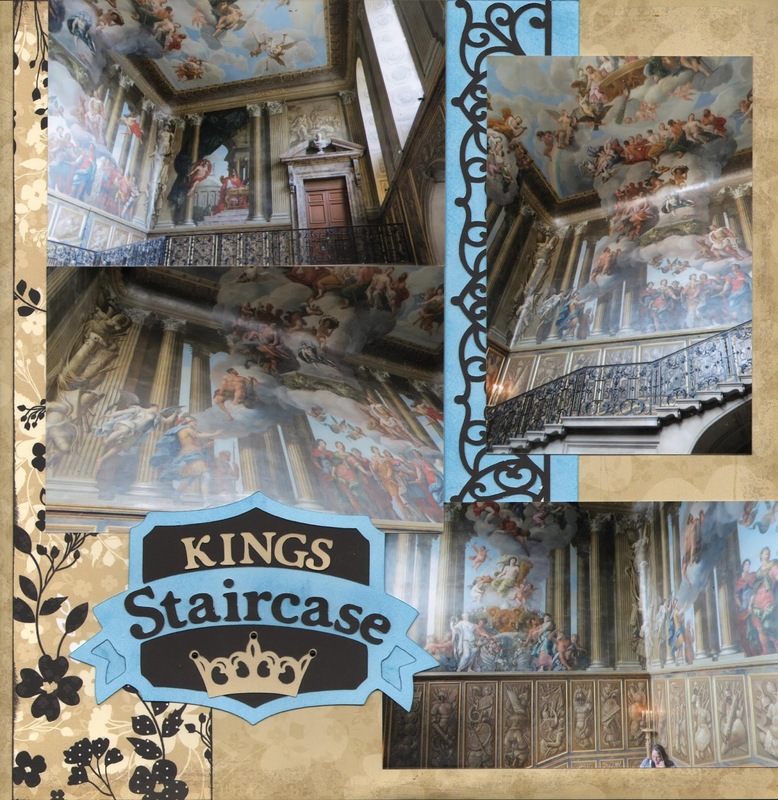 The King's Staircase was our entry point to the apartments of King William III. I loved the pictures my hubby took of the staircase, but I had a really hard time coming up with a layout that would do them justice. After a week of playing with it, moving things around, and them moving them back, I finally decided to pull everything off the background paper and try a whole new look. Not sure I love it as much as I love the photos, but at least it's done! The murals in the photo were done by Antonio Verrio, and the theme is Victory of Alexander over the Caesars. The ironwork balustrade is by French ironworker Jean Tijou.